Today I opened up my Kindle and saw the message that you see in the photo above. It was surprising to me because it was the first time my Kindle’s battery has dropped low enough to see that warning. I love my Kindle so much because the battery lasts so long between charges and it doesn’t give me any battery anxiety. Electronics that don’t need to be charged so often, like my Kindle, my Chromebook, and my Sansa MP3 player, are the best! So the message in the photo was a shock to me. I hope it doesn’t mean the battery is close to the end…  But, I wouldn’t mind getting a new Kindle Paperwhite. 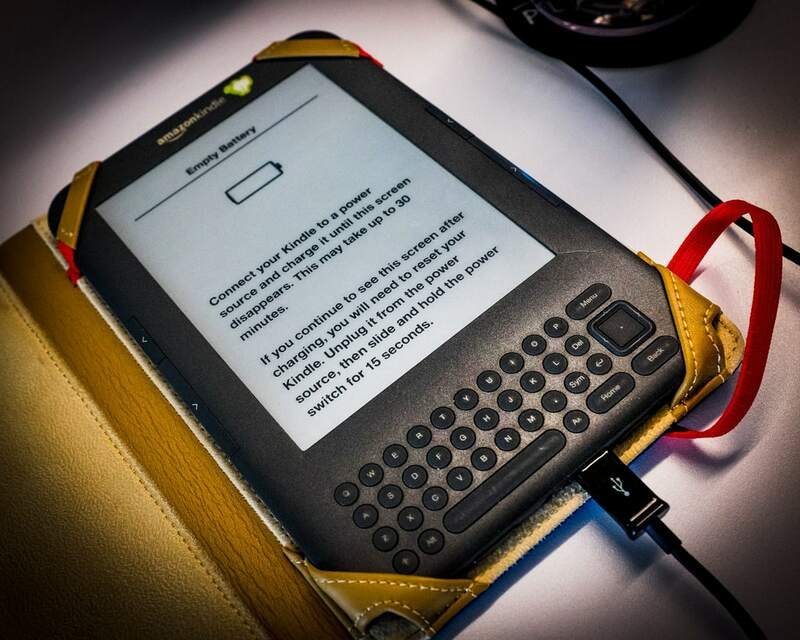 I would love a backlit e-reader. I hope you had a good day! Try to stay cool out there.